Your not just called WOW Weddings for no reason! This was my first time exhibiting and can’t wait to work more with you. Teresa and Darren were very warming and welcoming right from the start, looking after us and checking to see if we were happy and feeding us which is great! Teresa and Darren are genuinely lovely people and I get the impression they are valued by all of their exhibitors. Whatever you do with your advertising really works as every bride that walked through the door was genuine. Thank you for a great wedding fair! Fantastic show on Sunday, really busy all day. With so many lovely people to chat with the day flew by! Always a pleasure exhibiting with Darren and Teresa, nice to feel like you are valued clients and they always make me feel that way. Thank you both. Many thanks for one of your best shows yet, not even 24 hours later and 3 confirmed bookings and 1 outstanding enquiry which I think will translate into another booking. Thousands of pounds worth of business onto the books yesterday so thank you for all the effort you both put in, it really does show! 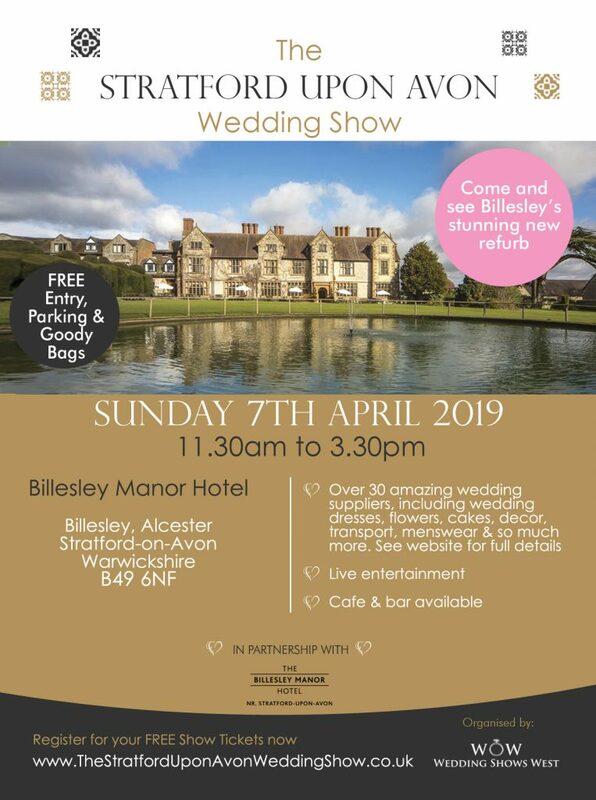 Amazing wedding shows, for both exhibitors and visitors! From a business point of view, we picked up lots of great leads and actually ran out of leaflets … on the personal side of things, I just wish I hadn’t been so busy and could have had a really good look round!